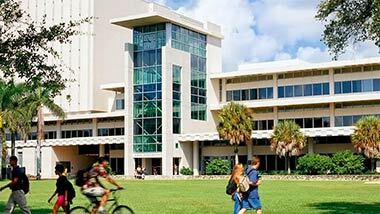 Welcome to the University of Miami Libraries Guide on how to locate business case studies for your course. This guide provides you with recommended sites that publish case studies. If you have a question on how to create a course packet of case studies, please contact the publisher directly. 2) Click on "Register Now" red tab located at the top of the page on the right side. 3) Register for your instructor account. An instructor account will allow you to search for case studies, print them for your personal use, and select the cases for your Course Pack. They will assist you in developing the course pack for your students and provide you with a link that can be inserted in Blackboard or your course syllabus. NOTE: Students will only pay $4.25/case study if purchased through a course pack. Cases not purchased via a course pack will be sold at HBP's retail price. Case Centre CoursePacks - step by step instructions on how to create a CoursePack as well as a video demo. Harvard Business Case Method - read how Harvard has successfully used the case method in its MBA program. Carnegie Mellon University - CMU explains the importance of case studies in the classroom. Stanford University - discusses how the case method can be used in various subject disciplines and produce collaborative learning. University of Virginia, Darden School of Business - Darden discusses the power of the case method. Recommended Readings for teaching with case studies. Join the Case Centre in celebrating the contributions that the case method makes in the lives and careers of students and educators. For ideas, link to the World Case Teaching Day webpage. Harvard Business Review Web Store - Search by company name or topic. Abstracts are usually included. This searches all HBR publications. To limit by case study make sure to click "Case Studies" in the left column. HBP cases cost on average about $8 to $12 each. Harvard also sells cases from Babson College, Stanford, and Northwestern's Kellogg School of Management, among others. Case Centre Case Studies - Advanced Search - search the world's largest and most diverse collection of management cases covering international issues. Available: Monday - Friday, 9 a.m. to 4 p.m.
Darden Business Publishing - when using Darden's search feature make sure to limit your search to "Case" to view the cases that may support your curriculum. Kellogg Case Study Search - use Kelogg's search engine to locate Kellogg's cases. Many of the Kellogg cases are sold on the Harvard Business Publishng, Xandau, and Case Centre websites.